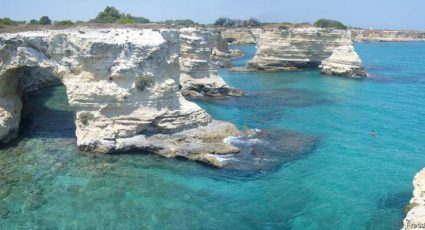 Fortresses, towers and castles are scattered across Apulia. Built originally on the hinterland or directly on the sea to defend the land from the enemy, today they are enchanting and mysterious landmarks. Which ones should you visit? 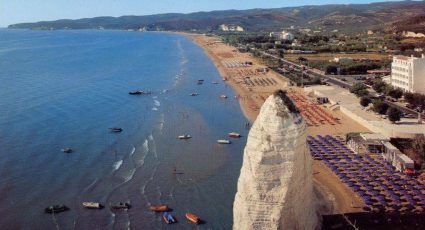 Let’s discover the most charming ones! 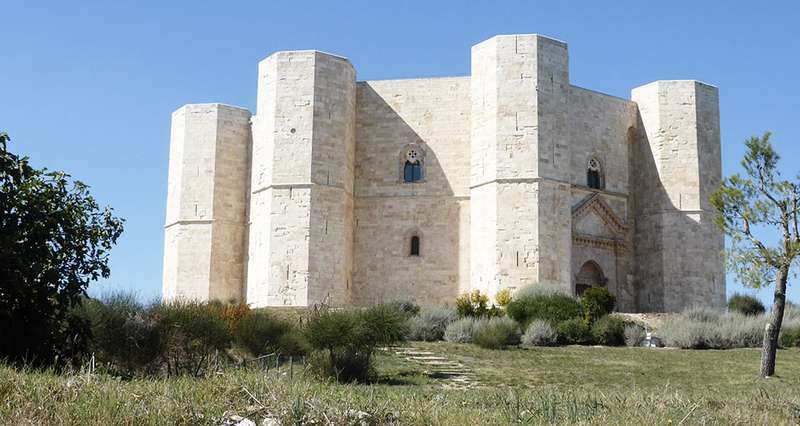 Castel del Monte, a UNESCO World Heritage site since 1996, was ordered by Emperor Frederick II. The function of the castle is still debated: it is believed to have served as an astronomical observatory or as a hunting residence. Its brilliant octagonal footprint and position, which creates particular symmetries with sunlight at the solstice and equinox, leave a sense of mystery that has been fascinating scholars and visitors for centuries. 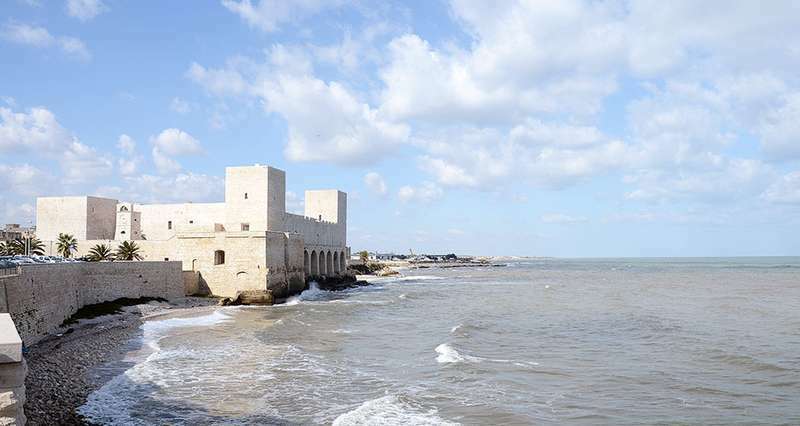 Castello Svevo, in the city of Trani, was built on the seaside to defend the city. Once equipped with a drawbridge, this castle is famous for being the location of the wedding between Manfredi, the son of Emperor Frederick II, and Princess Elena of Hepirus. This event is the subject of a historical re-enactment, for which a medieval atmosphere is recreated inside the castle. 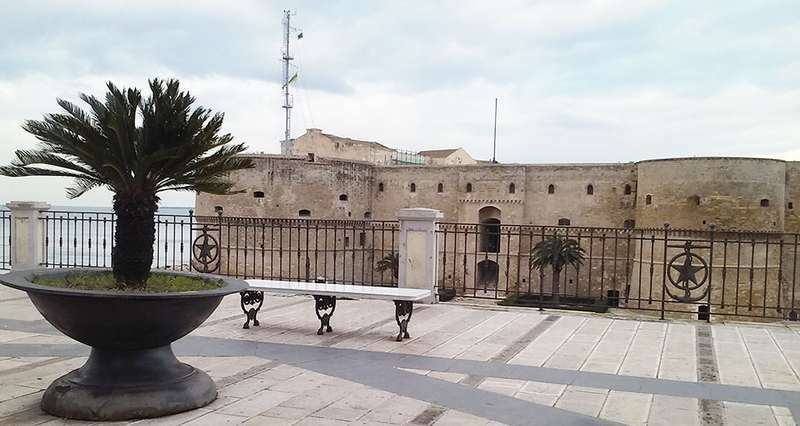 Castello Aragonese, also known as Castel Sant’Angelo, is the main fortification of Taranto and it marks the boundary between the old citadel and the new neighbourhood. The castle, which was built on the seaside to guard the ship canal, dates back to the end of the 15th century. Today, visitors have access to a small torture cell, which displays a hole that let agonizing screams be heard by other prisoners. 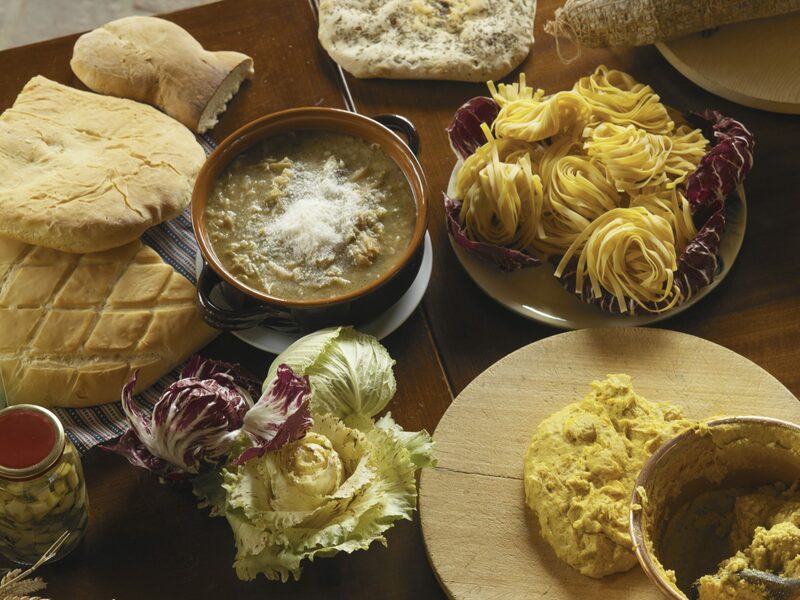 Castello Aragonese is home to several cultural events and it is open for free guided tours year-round. 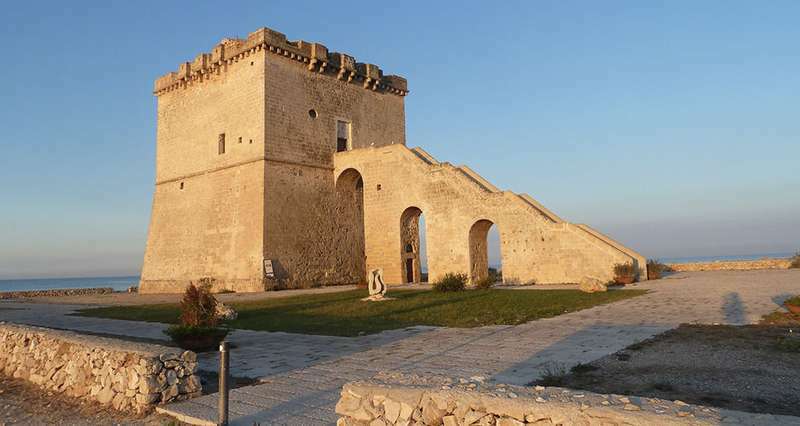 The last place we recommend visiting is not quite a fortress, but rather a lookout tower known as Torre di San Tommaso. The tower stands tall and quiet on the coast, gazing at the sea like an old fisherman. Like other towers in the Salento area, it was built to stop raids from the Turks. This landmark has a square footprint and an entrance staircase with three underlying arches, one of which was added in recent times, since the staircase used to be attached to a drawbridge.